RICHMOND, TX -- Two men are now in police custody after a bizarre alleged incident this morning at William Velasquez Elementary in Richmond this morning. Fort Bend County authorities tell us two men -- and not teens as previously reported -- were apprehended around 8am today after one man was shooting on the school's roof while the other man played bagpipes. One man is in his 30s and the other in his 20s. No further information on their identities was released. There were no injuries. Rosenberg police arrested them after an officer found a handgun on the alleged shooter, shell casings on the roof of the school, as well as damage to the building from what appears to be gunshots. Lamar CISD officials issued a letter to parents of Velasquez Elementary School students Sunday morning to keep them informed about the incident. The letter assured parents the campus is secure. "Lamar CISD was informed by our police department that two men were found trespassing at Velasquez Elementary this morning (8/23/15). A weapon was recovered and both men are in custody. According to authorities, the men did not enter the campus, but they were on the roof and behind the facility. Lamar CISD is currently working with the Fort Bend County Sheriff's Office and Rosenberg Police to ensure the entire campus is searched. Authorities say everything appears to be safe and the campus is secure. 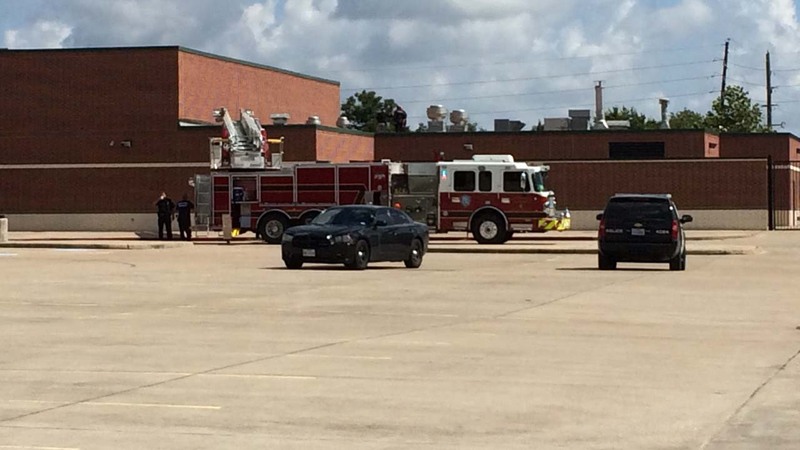 Lamar CISD will update you on the situation as soon as details are available."